Claudia Rébola (Associate Professor, Industrial Design) and her research partner Geoff Capraro, MD faculty member in Emergency Medicine at Brown University’s Alpert School of Medicine and have received a grant from the Rhode Island Department of Health to support their innovative approach to improve the capacity of Rhode Islanders to rescue the lives of victims of opiate overdose. 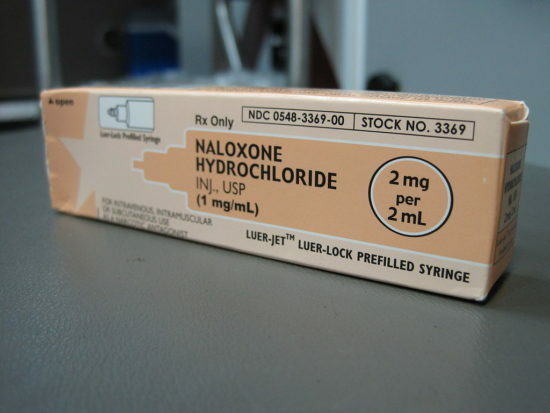 Their medical intervention, NaloxBox, will make naloxone, a powerful antidote used to rescue victims of opiate overdose, more readily accessible to bystander rescuers of overdose victims while they await the arrival of emergency medical services. The NaloxBox approach innovates by strategically placing naloxone in close proximity to at-risk populations. The Brown-RISD team, including undergraduate students in Industrial Design, will manufacture the first 48 NaloxBoxes in this pilot. Rebola has taken the lead from Soojung Ham (Associate Professor, Industrial Design) to design the interactive technologies and supervise the fabrication and implementation of the NaloxBox. Rebola states that she is particularly excited about “streamlining the design process to reduce production costs and incorporating “smart functions” that will assist inventory, inspection, and re-stocking of the units by their owners”. The first lot of NaloxBoxes will be installed at the Amos House facilities in Providence. Cover image courtesy of Brown University.